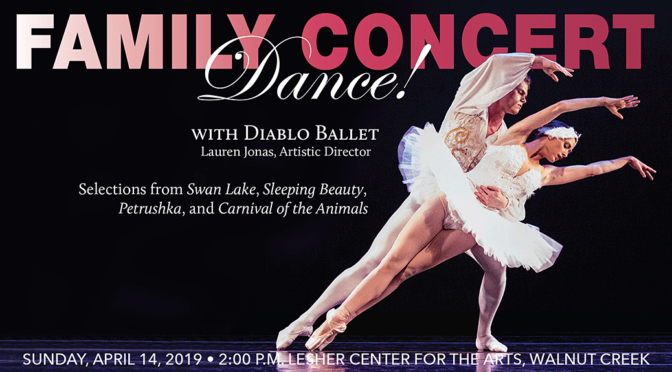 We are delighted to join forces with Diablo Ballet to present a concert that the whole family will enjoy. Besides examples of pas de deux from great ballets such as Delibes’ Coppelia and Tchaikovsky’s Swan Lake, we bring you the dancing cats from Sleeping Beauty and some surprise unicorns! Our concert will also feature other selections from Tchaikovsky’s works, as well the stirring music from Igor Stravinsky’s brilliant Petrushka, one of the greatest ballets of the 20th century.